For other girls, it’s not so fortunate. An estimated 12,000 Nepalese women, mostly teenagers or younger, are being trafficked across the Nepal-India border each year, where the majority end up in brothels as prostitutes against their will. Others end up in different kinds of slavery where they’re trafficked to other countries and usually end up abused and neglected as domestic slaves. In response to these tragedies, we organize frequent trafficking awareness counseling classes for girls ages 14-17 in the heavily-trafficked areas, and for women of all ages in other areas. 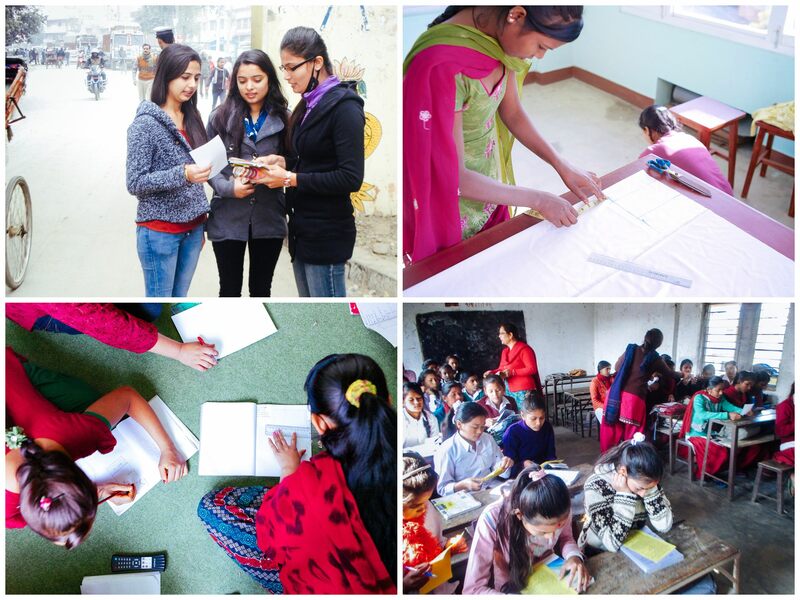 All in all, we reached approximately 5,000 girls and women through our counseling classes last year. All of the teachers and students are thankful for our trafficking awareness program which allows the girls to talk about guilt, fear, shame, anger, and their safety — they are encouraged to open up and learn from each other’s experiences. They are also taught to identify different problems and dangerous situations, and they are given the solutions. They are taught to stay away from strangers, to know the difference between true love and flattery from a stranger, to stay away from the lure of promised money and employment, to not exchange phone numbers or other information on Facebook, to understand their own responsibility towards their family and community, how to develop self-dignity and respect, and to know the laws and punishments regarding human trafficking. Our native team is doing an excellent job in educating and fostering healing among the girls and women. We are also happy to report that the rescued girls in our Kathmandu rehabilitation home are learning new skills in tailoring, and learning new designs for handmade beaded bangles. Learning these new skills, along with literacy, cooking, craft-making, the seamstress trade, and gardening through daily coursework offered by our full-time teachers, we are helping them to become independent economically. Learning all of these skills also helps them generate income, and introduces them to new designs which will help them sell their products. Please take a look at the girls’ beautiful handcrafted items on our Etsy shop. For every $10 you spend on their crafts, the cost of one girl’s housing, meals, medical care, and training are covered for 2 full days. Thanks for your support!